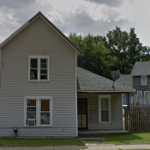 The 2019 State Convention of the Socialist Party of Michigan will be held on Sunday, April 7, 2019, from 2:00 pm to 6:00 pm, at the Boiling Point collective organizing space, located at the southeast corner of Gull Rd. and Ampersee Ave.
All interested public observers are welcome to attend. Dinner will be provided on-site for all members and guests in attendance. The State Convention is the highest-ranking meeting body of the Socialist Party of Michigan and is empowered to amend the SPMI State Bylaws and State Platform, adopt, amend, and repeal State Convention resolutions, elect the SPMI’s State Executive Committee officers, and elect the SPMI’s delegates to the Socialist Party USA National Convention. Although we strongly encourage attending the State Convention in person, we will also be enabling remote participation via Zoom videoconference for members and observers unable to make it to Kalamazoo. To connect via Zoom, simply enter the following URL in your browser from any computer, tablet, or smart phone device: https://zoom.us/j/7393430484. 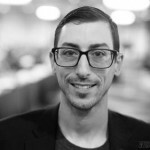 Many mainstream media pundits and political analysts have painted the recent return of socialism into the American lexicon as a new and novel phenomenon following the Bernie Sanders campaign and election of prominent members of the Democratic Socialists of America to the United States Congress. To the casual observer, they would be correct. But in reality Socialism in the United States in hardly a new phenomenon, and particularly in its heyday in the early 20th century saw vast numbers of Americans embracing the core tenets and values of the party. There was a time where cities were electing Socialists in large numbers, from city council members to mayors, and Socialist presidential candidate Eugene Dens peaked at %5 of the vote in the national election. There is also the oft forgotten role American Socialists and Communists played in labor movements of the time, often acting as the radical vanguard taking on entrenched business interests and pushing for workers rights with a militancy lost in modern labor politics. It was also many of these groups who were most outspoken and involved in organizing black and brown workers, bearing the brunt of American capitalism’s particular white supremacist character. 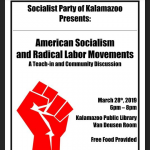 Members of the Kalamazoo Socialist Party will lead a teach-in and discussion about this important but buried history. We will be providing FREE DINNER and refreshments for attendees. 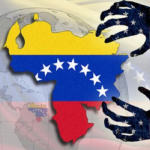 On Tuesday, February 19th the Kalamazoo Socialist Party and Kalamazoo Non-Violent Opponents of War will be holding a protest in front of U.S. Representative Fred Upton’s office in opposition to the U.S. government’s attempted coup in Venezuela. The United States backs Juan Guaido, an opposition member of the Venezuelan assembly who is both unelected and virtually unknown to a majorit y of the population. As people in the Trump administration such as John Bolton beat the drums of war, and render the desire for access to Venezuela’s oil reserves explicit, we see the push for intervention made stronger with lies, fabrications, and pro-interventionist bias from the very same media that made the case for the disastrous Iraq war. Venezuela is also the most recent on a sad history of South and Central American nations who have faced meddling, CIA backed coups, and wanton destruction from the U.S. government. As the current administration has signalled, particularly in the selection of Elliot Abrams as envoy, a convicted criminal and facilitator of War crimes implicated in the Contra scandal and others, and it’s propensity to use sanctions and the suffering of Venezuelans as a bargaining chip, they have very little interest in the actual lives of the Venezuelan people and all the interest in the world in Venezuela’s resources. -NO to the attempted coup! The U.S. has no right to meddle in other country’s affairs and select their leaders. The Socialist Party of Michigan supports approval of Proposal 18-1 to bring an end to 80 years of cannabis prohibition in our state and strip the capitalist police of a routine pretext for targeted harassment and repression of minority and working class communities. Although we oppose the imposition of regressive excise taxation, this measure will unquestionably provide tremendous relief from the draconian status quo. 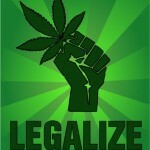 The Socialist Party of Michigan State Platform calls for the decriminalization of victimless crimes, including drug possession, and the regulated legalization of all controlled substances. The Socialist Party of Michigan supports approval of Proposal 18-2 to abrogate the brazenly antidemocratic practice of partisan gerrymandering. The SPMI State Platform calls for all post-census legislative redistricting to be conducted by a non-partisan commission, employing the latest in computer-aided design and database technology. The SPMI State Platform calls for automatic voter registration upon reaching voting age, based upon the most recent of address provided on a drivers’ license application, state ID application or state tax return, whenever available. Additionally, we call for extending voting rights to incarcerated and non-citizen residents, implementing instant run-off voting for all executive officials and proportional representation for all legislative bodies, equal public financing and airtime for all candidates, lowering the eligible voting age to 14, and abolition of all exclusionary ballot access strictures. The Socialist Party of Michigan has officially nominated SPMI member Matt Kuehnel for 22nd District State Representative in Michigan’s November 2018 election. Kuehnel, a heating and cooling tech and working class activist, is running to provide an independent voice for working people in the prime rust belt communities of Warren and Roseville where decades of disaffected contempt for both corporate parties has drawn an endless stream of narrative inversion by ruling establishment pundits. Along with Republican Arthur Blundell, Kuehnel is challenging incumbent Democrat John Chirkun, a former police sergeant and current stalwart of the state’s prison industrial complex, best known for his strident opposition to reform measures to limit arbitrary denials of inmate parole. Due to Michigan’s undemocratic ballot access laws preventing the Socialist Party from fielding candidates under its own label, Kuehnel will be listed on the ballot with the Libertarian designation, reflecting his dual support from the LP’s Libertarian Socialist Caucus, while running on the Socialist Party of Michigan’s State Platform.